What does summer rest & relaxation look like for you? Sitting on a sun porch reading and sipping wine? Kayaking rapids surrounded by the thrills of nature? Fine dining and entertainment? When you make the Hummingbird Inn your base camp for summer adventure you get the best of all worlds! 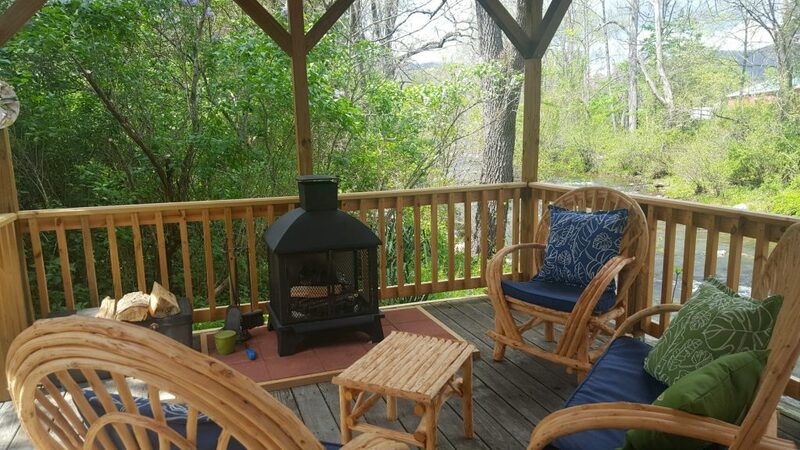 Located in the quiet country town of Goshen, the Hummingbird Inn is only a short drive to the vibrant, historic city of Lexington and is within easy access to all the outdoor recreational opportunities the Shenandoah Valley holds. 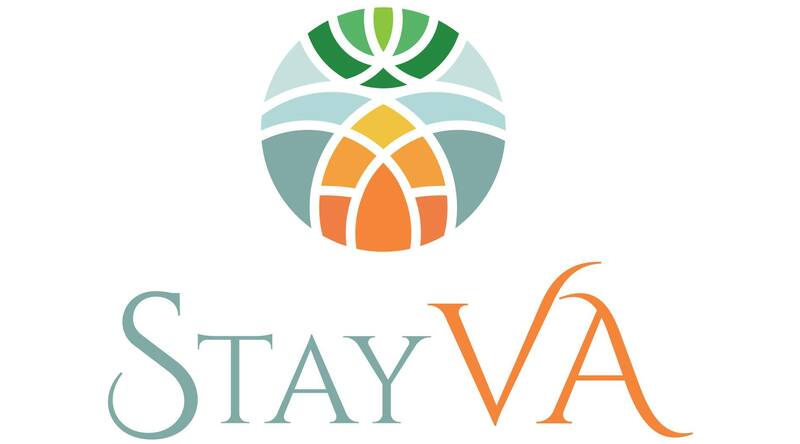 You can spend your days exploring the scenic trails, byways, and blueways of our scenic Rockbridge County, and in the evening, enjoy Lexington’s dining and culture. Here are three of our favorite suggestions for experiencing R&R in all its many forms. 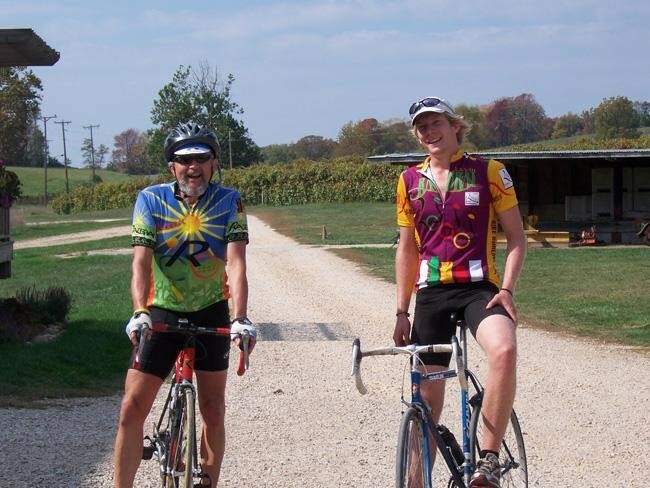 After a scrumptious, two-course breakfast at the Hummingbird, hop on your bikes for a self-guided tour to three local vineyards: Lexington Valley Vineyard, Jump Mountain Vineyard, and Rockbridge Vineyard. With advance notice, we can send you off with a tasty lunch so you can enjoy a vineyard picnic! Call ahead to verify each vineyard’s tasting hours. Your route will bring you past historic Wade’s Mill. Built around 1750, it’s one of the oldest working water-powered grist mills. During opening hours, visitors are welcome to tour the mill and stop in their shop. If you need a break on the ride “home” to the Inn, stop in Brownsburg to take a self-guided walking tour of this historic village or visit the exhibits at the Brownsburg Museum. 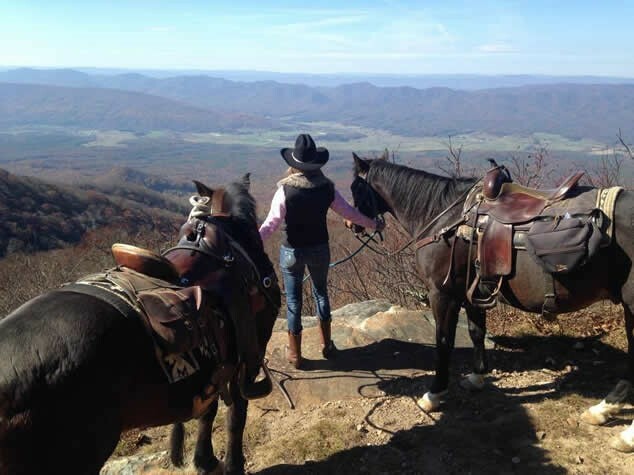 North Mountain Outfitter provides riders with a unique Virginia wilderness adventure. Photo credit: North Mountain Outfitter Inc. Choose “paddle,” “rod,” or “saddle” – or all three if you’re giving yourself a long getaway! At North Mountain Outfitter you can hop in the saddle and get a taste of the Old West. Half day and full day trail rides will give you a unique and unforgettable adventure into Virginia’s beautiful wilderness. 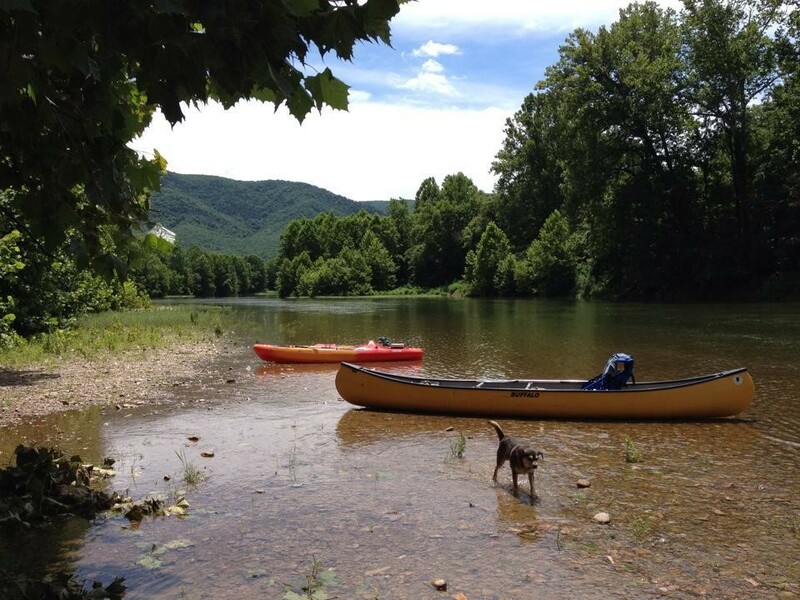 Wilderness Canoe Company offers self-guided day trips and overnight trips on the James River. Routes differ by length and class of rapids so paddlers from novice to expert can pick a level that’s right for them. Photo credit: Wilderness Canoe Company WCC offers unforgettable kayak, canoe and tube trips along the James River. And if you’re looking to experience the Shenandoah Valley’s renowned fly fishing, get the time-saving and rewarding benefit of guide services and instruction from the professionals at Escatawba Farms Fly Fishing or Wild Mountain Trout Fly Fishing. After a long leisurely morning reading in the solarium overlooking the Inn’s gardens or enjoying an in-room massage, take a beautiful drive to Natural Bridge State Park. Stroll along the park’s hiking trails that wind under the 215-foot tall limestone natural bridge and up to Lace Falls. If you work up a thirst, head to nearby Great Valley Farm Brewery. Their outdoor patio is the perfect setting to relax and sip a cold ale. Check out the brewery’s event calendar to time your visit with live music and local food truck offerings. For dinner, drive in to Lexington for a delicious meal at Rocca Bar Ristorante. Savor authentic Italian while unwinding on their rooftop lounge that overlooks the city’s historic Main Street. If you still have room, swing by Devil’s Backbone Outpost Brewery for a pint or flight in the bier garden. Close out a blissful evening by stargazing on the Hummingbird Inn’s creek-side deck and listening to the murmur of summer in the Shenandoah. So what does summer R&R look like for YOU? Plan your escape to the Hummingbird Inn today!